It is one of the most talked-about processes this year. 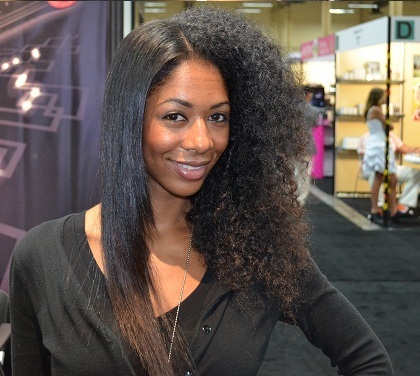 Everybody is raving about the benefits of the straightening system. What is it, you ask? It’s called the Brazilian Blowout and it’s pretty awesome. A Brazilian Blowout also known as Brazilian Keratin Treatment, Keratin Cure and Keratin Straightening is the method of temporarily straightening hair by sealing a liquid keratin and a preservative solution into the hair with a hair iron. The process takes about 1-3 hours and last around 3 months. It involves eliminating frizz, and straightens curls and waves about 50 to 80 percent. The process is huge in Miami, Los Angeles and New York, and can cost about $150–$600 depending on the hair length and hair salon. The treatments do not guarantee completely straight hair. After receiving the treatment, downtime ranges from no-wait to a 72-hour period. This mean you can’t do things like: wash or wet the hair, exercise, tuck the hair behind the ears, or pin it up with any hair clip, pony tail holder or headband. 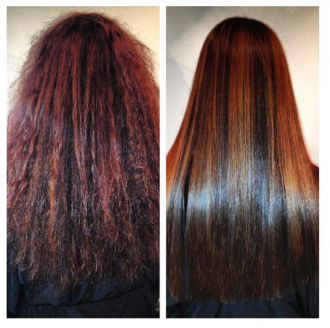 If you’re interested in a Brazilian Blowout, consult with a stylist from Indo Hair to help you decide! Next Next post: Is Ombre Still a Thing?